This is where it all started. Not literally, I’ve been drawing ever since I can remember. 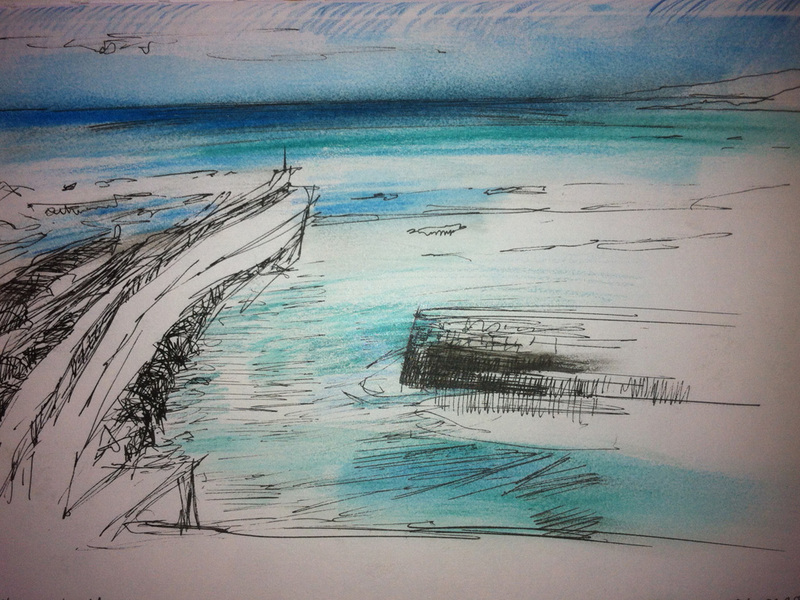 But in my final year at St Andrews university I bought a sketchbook and started filling it. This is on the first page. A few months later I went to Paris and followed my dream of being an artist and I have never looked back. Now sketchbooks are the backbone of my output, a place where I can hone skills, experiment and simply experience the joy of drawing for pleasure.